The sixties and seventies was also when Emilio Aparicio, an electronic experimental musician from Guatemala, pioneered the use of the Moog synth in Latin America. Between 1969-1971 he used his newly acquired Moog synth to record the music on Expansión Galáctica which was recently released by Mental Experience, an imprint of Guerssen Records, and showcases the a musical pioneer, Emilio Aparicio. Just two years before Emilio Aparicio started to record the music on Expansión Galáctica, he was a student at the National Music School, in Guatemala City. That was where he first came across fellow student and member of Abularach dynasty, Roberto Abularach. Twenty-one year Roberto Abularach came from a very different background to Emilio Aparicio, but their paths would cross after they had completed their respective studies. After two years locked away in his studio, Emilio Aparicio had completed the ten tracks that feature on Expansión Galáctica. There was only one problem, though, Emilio Aparicio had no idea what to do with the music? Sadly, very few people took the time to collect the corks and return them to Salvavidas Rojas. Those that sent away for Emilio Aparicio’s five singles, didn’t understand the music. It was unlike anything they had heard on the radio or bought in local record shops. What didn’t help was that Emilio Aparicio didn’t play live and wasn’t part of a band. Instead, he was a relative unknown, who was part scientist, sonic explorer and musician, whose natural habitat was the recording studio. That was where he had spent the best part of two years recording the music on Expansión Galáctica. Sadly, Emilio Aparicio fell victim to prostate cancer and passed away in 2012. By then, Ruffy Tnt had rediscovered the five volumes of music that Emilio Aparicio had recorded between late-1969 and 1971. Ruffy Tnt was on a crate-digging expedition in Quetzaltenango in Guatemala, and found himself in a dusty basement that had once been the warehouse of Iximché, who had once distributed the rock-o-la machines. With dust and detritus on the floor, Ruffy Tnt was wary as he hunted through the warehouse. The last thing he wanted was to be bitten by one of the rats that had obviously been present. However, his patience, persistence and bravery was rewarded when he spotted two rooms crammed full of old singles. In amongst some incredibly rare records were two of the five privately pressed volumes of Emilio Aparicio’s music released by Salvavidas Rojas. The two volumes of Emilio Aparicio’s music that Ruffy Tnt left the warehouse with were Brujería (Witchcraft) and Transmutación del iniciado (Transmutation Of The initiated). However, this was just the start of a seven-year treasure hunt. Over the next seven years, Ruffy Tnt searched far and wide for the remainder of Emilio Aparicio’s recordings. By 2017, Ruffy Tnt had found the eight singles released baring Emilio Aparicio’s name. This includes the five volumes that were released by Salvavidas Rojas as part of special offer, which Roberto Abularach hoped would introduce Emilio Aparicio’s music to a much wider record buying public. Sadly, that wasn’t the case, and very few Guatemalan record buyers were won over by the music on the five singles that recently featured on Expansión Galáctica. They’re a reminder of Emilio Aparicio, who throughout his career, was a musical pioneer, who pushed musical boundaries to their limits, and sometimes, way beyond. Proof of that are the ten genre-melting tracks on Expansión Galáctica. The genre-melting tracks that Emilio Aparicio made between late-1969 and 1971, were way ahead of their time and incorporated elements of disparate musical genres. This included everything from electronic and experimental music, to abstract and avant-garde, through to Latin and psychedelia. There’s also occasional elements of dub, jazz, musique concrète pop and rock on Expansión Galáctica, which was lysergic and mind-expanding magical mystery tour where a true musical pioneer combines the music of the past and present to make the music of the future. Dubby, experimental, lysergic and eerie describes Expansión Galáctica which opens the album, and gives way to Los Visitantes de Sirio. It’s cinematic, futuristic and veers between moody and joyous as lo-fi electronics, dub and space-age jazz combine with a myriad of effects. La Pipa de Lucas is melodic and breezes along, sounding like it’s part of the soundtrack to an early seventies experimental animation series. There’s an almost military sound to El Nacimiento Diario as horns and drums combine with bubbling, gurgling synths. They combine to create a catchy, space-age and surreal soundtrack fit for a psychedelic army. Very different is La Ceremonia ,which is slow, futuristic, robotic, mesmeric and cinematic track that even today would perfect for a sci-fi soundtrack. Dramatic and cinematic describes El Misterio de Tiahuanaco, which sounds as if it belongs on a low-budget movie from the early seventies. Brujería has a much more spartan arrangement, with the Moog synth taking centre-stage during what’s a captivating and timeless electronic track. Dubby, dramatic and cinematic describes Transfiguración del Iniciado which sounds as if it belongs on the soundtrack to a seventies cop show. Just like many of the tracks Expansión Galáctica, Bo Bo Bo Beu hints at the music of the future. The keyboards and squelchy synth sound as if they’re from a late-eighties Acid House track. However, Emilio Aparicio Moog had created that sound two decades before the birth of Acid House. Paren La Contaminación del Aire which closes Expansión Galáctica is another track that sounds as if it’s part of the soundtrack to a seventies action movie. 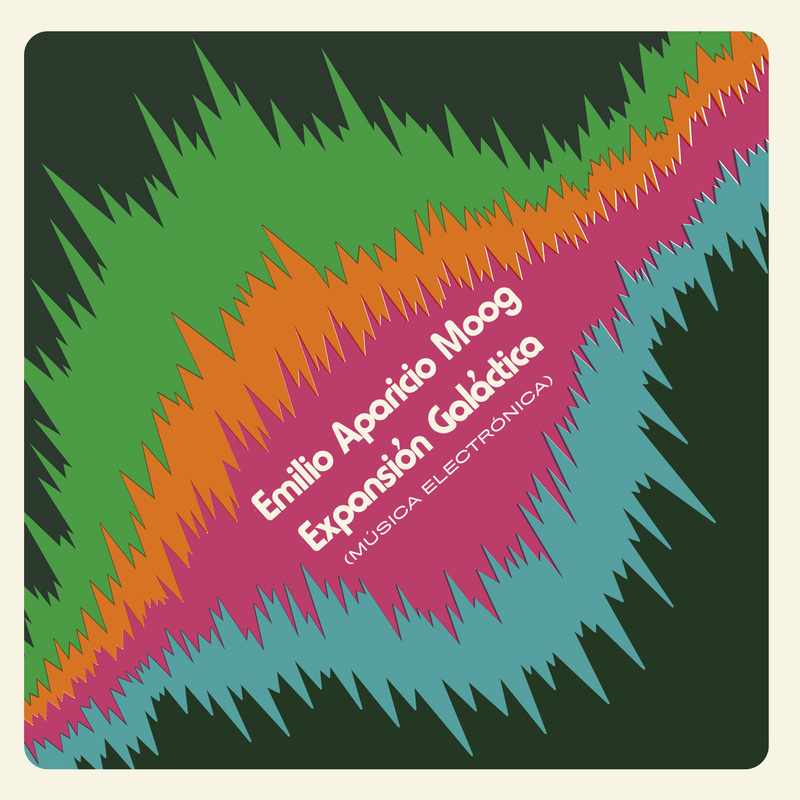 It’s also one of Emilio Aparicio Moog’s finest moments on Expansión Galáctica, a remainder of true musical pioneer. Apart from a few aficionados of electronic and experimental music, sadly, very few people will have heard of the late Emilio Aparicio Moog. This little known musical pioneer, who created ambitious, innovative and imaginative music during what was a short, but unsuccessful recording career. Emilio Aparicio Moog only released eight singles, which sadly, failed to find the audience they so richly deserved. Especially the five singles he released as part of an offer in conduction with the popular drinks’ company Salvavidas Rojas. Very few people took up the offer, and those that did, failed to understand the music. Many of the singles were thrown away or recycled and nowadays, the five singles are extremely rare. Fortunately, Ruffy Tnt rediscovered these singles, and they feature on Expansión Galáctica, which was recently released by Mental Experience, an imprint of Guerssen Records. This is the first time these singles have been released, and they’re a welcome reminder of Emilio Aparicio Moog, who was a groundbreaking musician whose music was way ahead of its time. That was why people failed to understand Emilio Aparicio Moog’s music, which is ambitious, innovative, imaginative and even today, has the potential to inspire a new generation of electronic musicians. Emilio Aparicio Moog spent two years recording the music on Expansión Galáctica, where he pushed musical boundaries to their limit, and sometimes, way beyond. In doing so, musical pioneer Emilio Aparicio Moog created the truly timeless, genre-melting music that features on Expansión Galáctica, which hopefully, will somewhat belatedly find the audience that it deserves. ← BETTYE SWANN-THE MONEY MASTERS-VINYL.